February 2, 2018 – A special congratulations to our School Board Member, Nicholas Aquino, for being recognized with the WASA Community Service Award! 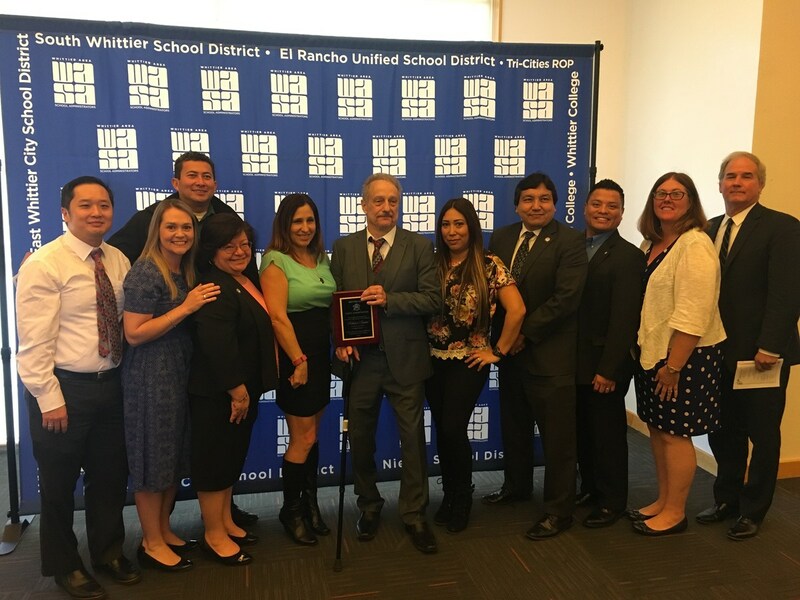 It is with great pleasure that we congratulate Schoolboard Member, Nicholas Aquino of the Los Nietos School District Board of Trustees, for receiving the Whittier Area School Administrators (WASA) Community Service Award! Mr. Aquino, who is currently serving his third term in the Los Nietos School District Board of Trustees, has excelled in his work as a public official and a community activist. As a founding member of the South East Los Angeles County (SELAC) Educational Foundation, Mr. Aquino has secured donations from state and county officials for 8th-grade students to visit Washington D.C. He has also provided classroom grants to teachers, and for over a decade has provided Christmas food baskets to over a thousand needy families in the Los Nietos area. Through his efforts and leadership, Mr. Aquino served as an instrumental component of the passage of three G.O. bonds, that enabled infrastructure, security, classroom modernization, and technology improvements at all four of our school sites. 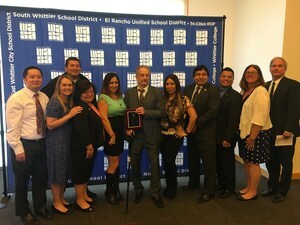 His greatest accomplishment has been the joint-use agreement between the District and Los Angeles County that enabled a new $7 million dollar public library to be built at the corner of the Los Nietos Middle School field for students and residents. We sincerely thank Mr. Nicholas Aquino for his many years of service to the Los Nietos community!